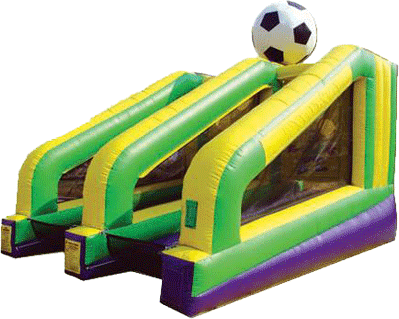 The Penalty Kick Shoot Out is a great addition for any event. Two competitors have a shoot out by kicking the ball into different holes to score points. Highest score wins. Great forBirthday parties, Schools, Churches, & Corporate Events Etc.